National Dialysis Network℠ – Golden Triangle Specialty Network, LLC. 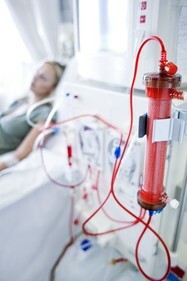 Dialysis is always one of the top 5 most expensive medical cases a health plan will face. Typical charges run $500,000 to over $1,000,000 per year per patient. At GTSN we take a secure approach to managing the costs of this life sustaining care; via our National Dialysis Network℠. All GTSN savings is secure, guaranteed with provider sign-off. GTSN is here before and after the claim to support the payor and the provider with any questions. Each claim is manually reviewed by GTSN staff and then re-priced per our provider contracts. The GTSN name is always on the EOB, so the payor has the security of a known agreement with that provider. We work from our national, local and regional provider agreements as well as Single Patient Agreements when needed. Our fees are a percentage of savings. There is never a charge for initial case review. This year our guaranteed savings are averaging 50% annually across the US. Some cases may be more, others less depending on individual case factors such as provider, specific services billed and provider charges. View our Dialysis Success Stories. If you’re looking for more aggressive savings we can also help with Reference Based Payments and Medicare Plus type pricing and plan carve outs. It’s important to understand the risks of Patient Balance Billing and other push back from providers as well as education the need for proper plan design and support resources for these programs. We just like our clients to be informed when pursuing these. We’d love to discuss all our services and how we have helped clients across the US with savings that are guaranteed and others with program changes when they are under fiduciary strain. Contact Polli Yount to learn more about better dialysis savings and better sleep.